Throughout December we host a variety of memorial events that focus on remembering all the lives we have lost throughout the year. 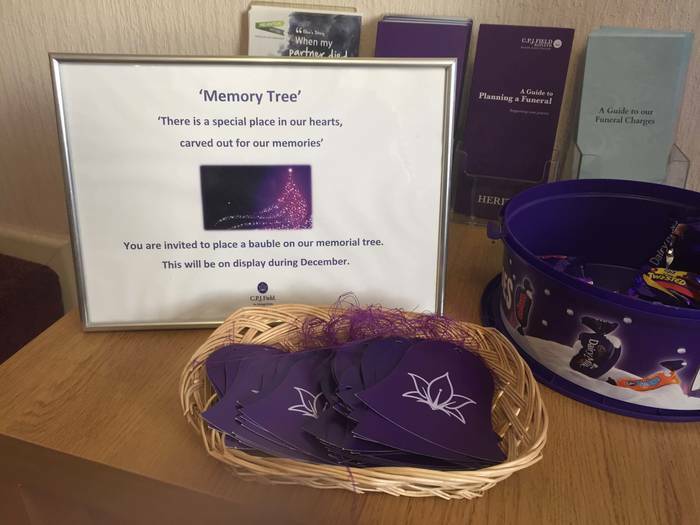 Each year we design a memory bauble and invite our customers into our branches to write the name of a loved on the baubles and place them on our tree of remembrance. Below is a round up of our activity this Christmas. 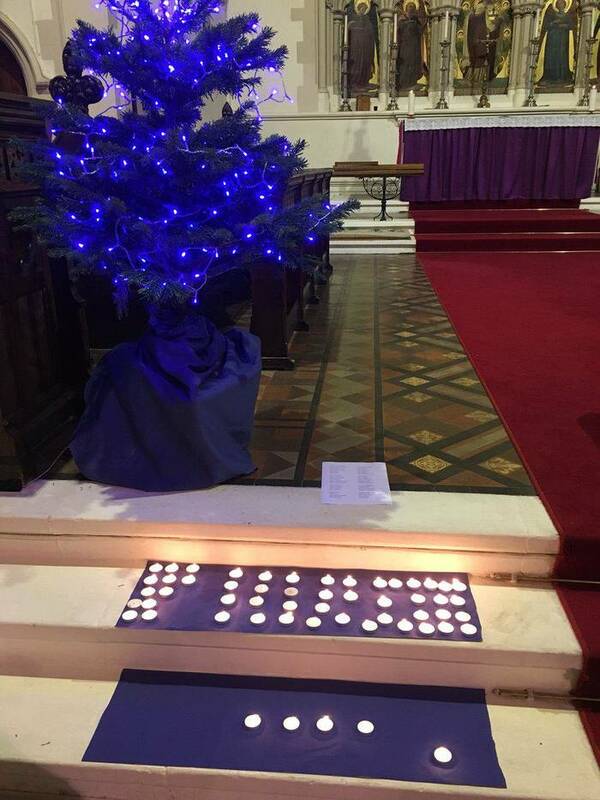 On Wednesday 6th December our Attree & Kent branches in Brighton and Hove held a memorial service at the All Saints Church in Hove. 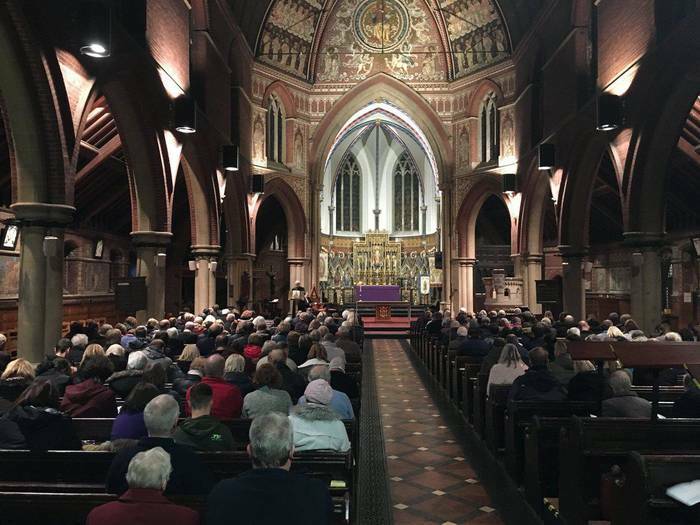 The service included memorial readings and the congregation were given the opportunity to light a candle for their loved one and reflect on their fond memories. After the service our colleagues offered refreshments and spoke at length with all in attendance about their plans for Christmas and how best to celebrate the lives of their loved ones back home. Similarly, on the 7th of December, Haine & Son in Eastbourne attended the memorial service at St. Saviours Church. This service is very well attended and every year over 200 come together to sing songs of remembrance and to support each other at what can be a very difficult time. On December 9th we opened the doors of the majority of our branches and hosted our own memorial events. This was the opportunity for all those we have helped this year, to come back into the funeral home to enjoy some mulled wine and mince pies while reminiscing about their loved one. At these events we handed out our memory baubles and they were used to decorate the branches Christmas trees. Colleagues at our Crawley branch organised for individual candles to be available for clients to take home and light over the Christmas period in memory of those who have passed. 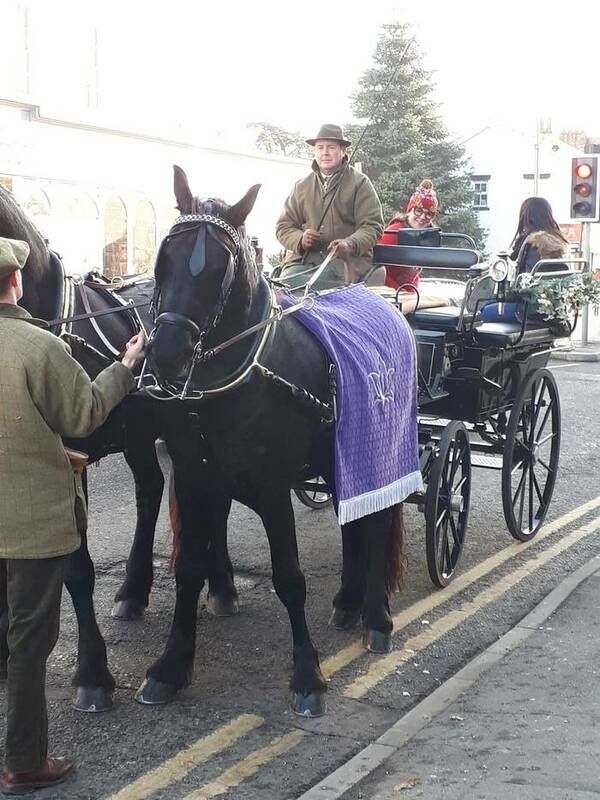 After the event had finished our Ballard & Shortall, Horley branch took a horse and cart to the Wykeham House nursing home where they met with the residents. At CPJ Field we are committed to combating social isolation and loneliness, and the horses brought great joy to many of the elderly residents who seldom leave their room. On the way back to the branch, members of the public rode in the cart alongside us. Also on the 9th we had colleagues at the Trinity Christmas tree festival, Cuckfield and Buckingham Town Christmas Fair. We took a Christmas tree along with our baubles to the Buckingham event and partnered with Survivors of Bereavement by Suicide, a charity focus on those who need support after somebody has died as a result of suicide. The response to this was positive and we managed to raise £200 to support the charity. Finally, SE Skinner & Sons and Christopher Stringer Funeral Services held two memorial services in Brighton on the 11th and 14th of December respectively. CPJ Field Managing Director Jeremy Field was in attendance and read the lesson to the congregation. We are aware of what a difficult time Christmas can be for those who have suffered loss and the events we hold and attend all focus on bringing people together to talk about their loved ones, remember them and also to help the grieving process. We thank all of our colleagues for the extra compassion and caring they offer over this time, and for all the effort they go to make our memorial events successful. To all who attended we hope the events were as expected and we wish you a peaceful Christmas and new year.